Less than seventy two hours after the earthquake struck Haiti, Cameron King was unloading a Piper Aztec on the ramp at the airport in Port-au-Prince. In the near chaos of the first days, only a few people took notice of King who looked more like a teenager than a young woman of 23 years. But as she flew more and more missions, people began to wonder “who is this kid and what’s she doing flying here?” So, while on an overnight in Nassau, and in her typical can-do fashion, she commandeered a camera, computer and printer and fashioned a very official looking “Humanitarian Pilot” credential badge. It’s a badge she still wears today after having flown over 50 missions into airports throughout Haiti. 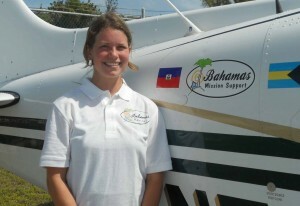 In the first days of their airlift, King worked with Bahamas Habitat pilot Matt Hansen and Abe McIntyre of their island-based sister organization to set up a command center at the Odyssey FBO in Nassau. She served as both a mission pilot and Disaster Response Coordinator for the US-based aviation mission organization. 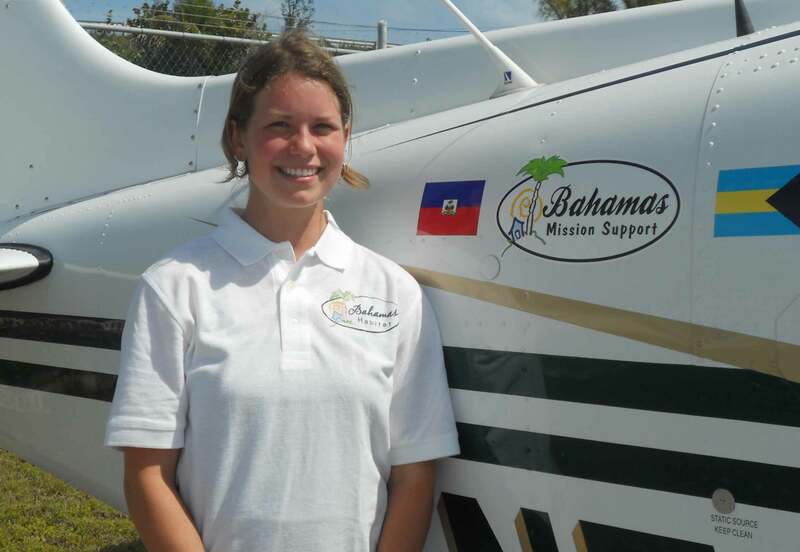 By the time the big push slowed two months later, Bahamas Habitat volunteer pilots had flown more than 400 missions, and delivered more than 125 tons of supplies into small airports in Haiti. Modest almost to a fault, King looks back on the experience as “just something that needed to be done”, and she’sseemingly unaware of how remarkable her personal effort has been. As the magnitude of the effort began to unfold, King had logged only a little over 600 hours including training that began in Nashville and ended with a degree in Professional Flight Management from Auburn. Though she had advanced through Private, Commercial and instructor certificates and was multi-engine rated, it was a huge leap to go from the world of school flying to day after day of carrying a full load of supplies and medical personnel into demanding strips in a ravaged country. More than two years have passed since those first constant days in the air, missed meals and nights of grabbing sleep on someone’s floor. And though her schedule is less frantic, her flying career goes on for King as she recently accepted a position as company pilot for a business in Georgia. Before taking that job she spent a year flying a volunteer water purification team into Haiti on a monthly basis. In village after village they installed filters that instantly changed the lives of people who used to become sickened and often died from water borne diseases. King’s work with Bahamas Habitat enabled her to help create a network of volunteer pilots who still fly on a regular basis to provide valuable assistance to small organizations throughout Haiti, and she urges pilots who haven’t taken part to sign on for the most gratifying experience of their lives. She may still look like a kid, but with the food, medical supplies, doctors, nurses and surgeons she delivered to people in their hours of greatest need, Cameron King has a legacy worthy of an old pro.